With new technology being released at an overwhelming pace we thought it might be good to take it back to the basics. Here are 100 tips to help make you a better photographer c/o Expert Photography. We came across this article that may help your find focus when trying to market your work to potential new clients. Gloria Cirulli, a confidence mentor, public speaker and trainer/consultant, shares her insights on how to boost your business in a crowded and competitive field. Click the image below to read the article that was originally posted on myCentrayJersey.com. 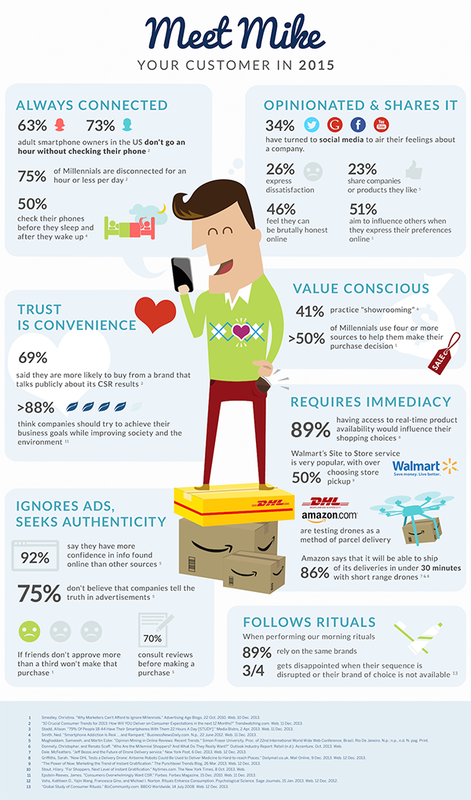 This is a great illustration showing the lifestyle and habits of the average consumer in 2015. Knowing these may help benefit your bottom line. Our team is often asked if we have tips on how to create a successful email campaign. This graphic lays out a really smart plan to follow when trying to maximize your campaigns potential. Good luck! Social media strategies from around the web.